What's the best way to learn how to solder? How about reading a comic book? 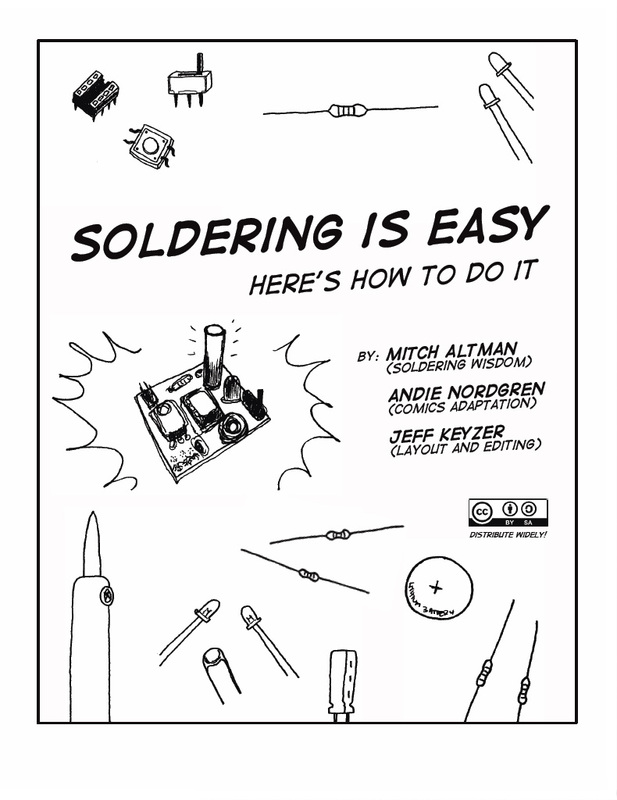 "Soldering Is Easy" is a new how-to comic now available for free download from the MightyOhm Web site. 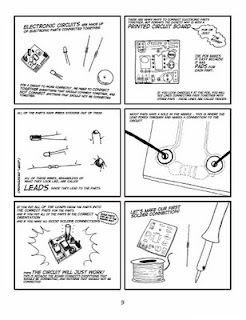 Our resident soldering expert (and comic book lover), Q-Bot, was impressed with the way the authors (Mitch Altman, Andie Nordgren, and Jeff Keyzer) were able to combine useful information with a sense of humor and eye-catching graphics in a way that was truly educational. 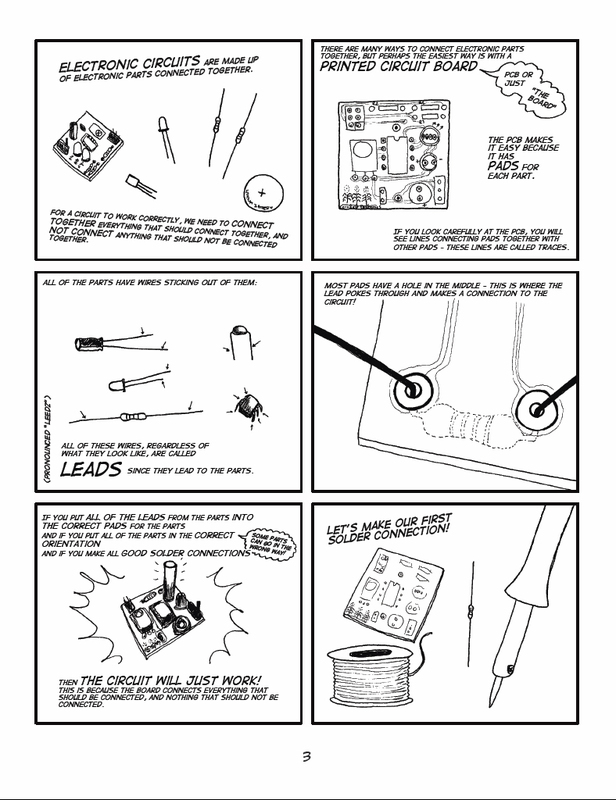 Q-Bot loved how this eight-page comic book taught the basics of soldering techniques and tools while stressing safety at all times. find yourself in a state of flux (pun intended) about where to buy your new soldering equipment, head on over to QSource.com and check out our extensive selection of soldering stations, soldering accessories, and safety wear. Q-Bot would also love to hear of other leads (pun intended...again) on soldering resources and how-to's. So, remember, if you have any great soldering tips (okay, okay, last one...we promise) please send them our way.